MOSCOW, October 10. /TASS/. The Kalashnikov Group, the maker of the renowned AK-47 assault rifle, is unaware of US plans to produce Russian weapons for the United States Special Operations Command, the gunmaker’s press office said on Wednesday. "We know nothing about these plans," the press office said. 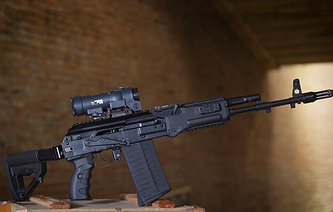 America’s interest in Russian arms just proves their excellence and dependability, the Kalashnikov Group noted. "We are not surprised and this highlights once again the reliability and quality of our weapons," the press office said. The US-based National Interest published an article that the United States Special Operations Command "wanted American companies to explore whether it is feasible to ‘reverse engineer or reengineer and domestically produce’ weapons" especially Russian ones. So far, the US Special Operations Command has offered to explore the possibility of producing the Russian 7.62mm and 12.7mm large-caliber NSV machine guns. The manufacture of Russian small arms in the United States without any relevant legal permission from Russia would be considered intellectual theft, Russia’s hi-tech corporation Rostec said. 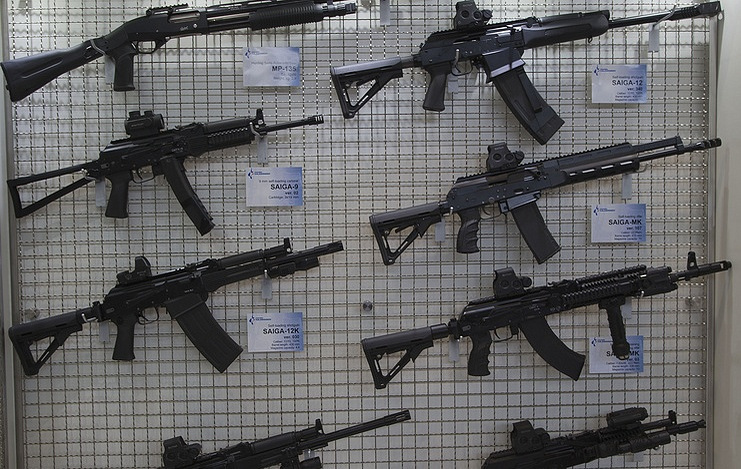 Rostec is the parent company for the Kalashnikov Group. "If someone wants to carry out this work legally, obeying all the rules, they should approach Rosoboronexport [Russia’s state arms exporter] and discuss it. Otherwise, this would amount to the illegal copying of Russian innovations or theft, simply speaking," Rostec said in a statement. Such ideas (the production of Russian weapons abroad), if they do exist, once again corroborate the advantages of Russian armaments, Rostec said. "Moreover, this relates even to weapons that are not quite new, as we see," Rostec emphasized.